Two of my boys and I decided we wanted to get away and have a fun mini vacation in New York. Although we frequently go to the city and are by no means strangers to New York, we thought it would be fun to spend more than a day seeing the sights and having a good time. To do this, we needed a great home base. So we were thrilled at the invitation to come check out a couple of hotels that belong to The Library Hotel Collection. 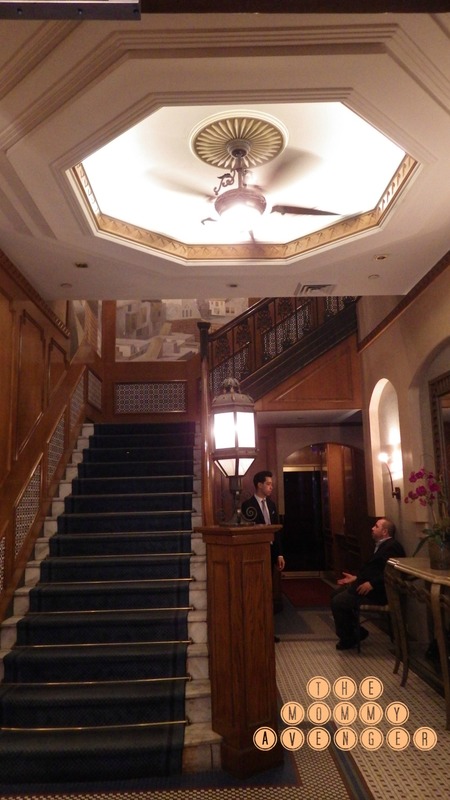 Our first visit was to the Casablanca Hotel. We were in for such a treat when we arrived. Located in the heart of Times Square, the location could not be beat. Steps away from the action of the city was this hidden gem that I had never noticed before. Now that I know it is here, I will be coming back! One step into the lobby and you feel like you are in a different world. It transports you to a different time and place, to be sure. The staff was so courteous and friendly and I knew that we were welcome in this beautiful boutique hotel. I appreciated that every time I walked through the doors, there was someone greeting me by name. That is remarkable in and of itself, but to find that in a New York City establishment was really impressive. Now you would imagine that staying in the middle of Times Square would be a loud experience for us. Not at all! The moment we stepped inside the hotel, we found ourselves in a very peaceful oasis. Our room was no exception. When we walked into our room, we found a very spacious mini suite. Two double beds in one room that could be closed off from the living space and bathroom. The furnishings were very nice and extremely clean. Available at the Casablanca Hotel is Rick’s Cafe, a cafe available to patrons 24 hours a day. Here you can find refreshments such as coffee, tea, cookies, and fruit. Also, iced lemon water. I liked that there were to-go cups with lids and straws, a very nice option for those on the go. 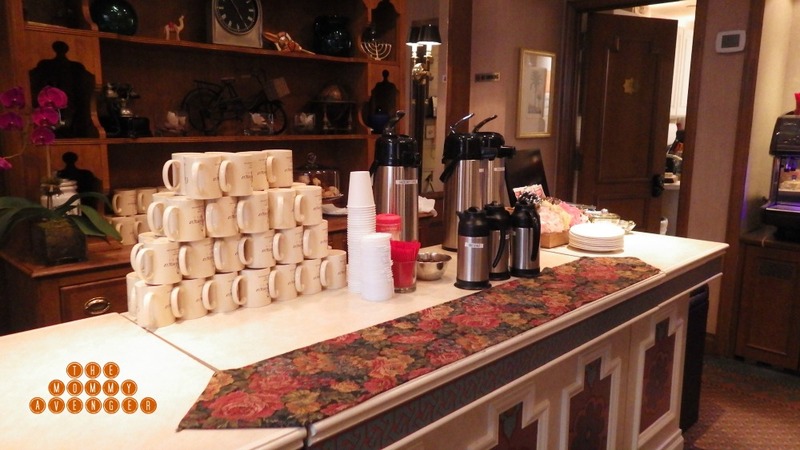 At certain hours of the day, Rick’s Cafe offers a complimentary continental breakfast of an assortment of foods; bagels, hard-boiled eggs, fruit, pastries, coffees, juice, and cereal. In the evenings, a lovely reception of wine and cheese are available for those so inclined. There is always a refreshment to be had here, included in your stay at no extra cost. This is wonderful when traveling with kids, as we could grab a quick snack and drink before heading out to our next excursion. Most hotel rooms in New York City are very small and my experience staying in New York had me surprised by the size of our mini suite at the Casablanca Hotel. There was plenty of space to spread out and relax. Which is what I like to see in a hotel room! The beds were very luxe and comfortable, the perfect place to lay our heads down after a busy day exploring the city. 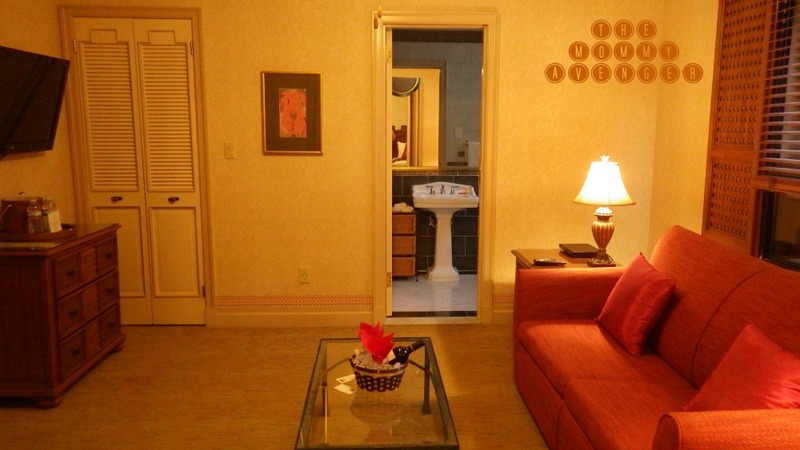 We found tons of great features were included in the hotel stay, which were wonderful. Complimentary wi-fi was available, which is always a definite plus. Bath robes and slippers to change into after a nice long bubble bath made us feel at home and very happy. When it was time to go to sleep, plenty of pillows, soft sheets and memory foam mattress made for a pleasant place to go to bed. But here’s a couple of things that I wasn’t expecting that made a huge difference in our stay. The day of our visit, the temperature was over 90 degrees. Anyone who has visited New York knows that you can bake in the concrete laden city when the temperatures soar. Many times, there is very little reprieve to be had, no matter where you go. I’ve stayed in places where I could just not cool down and get comfortable when it was time to go to bed. Here, there were ceiling fans in both the living area and the bedroom, as well as separate air conditioning units with digital thermostats in each space. We were able to get nice and cool, allowing for a very comfortable night’s sleep. 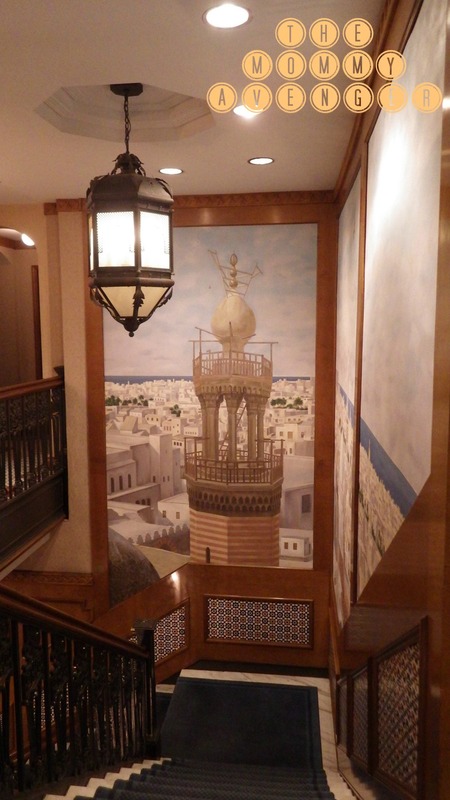 Our experience at the Casablanca Hotel was fantastic and one I would highly recommend to you. 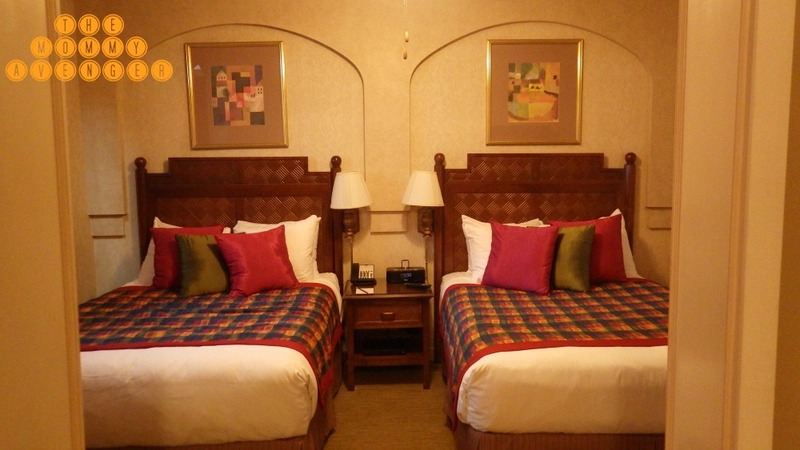 Spacious rooms, extra complimentary amenities, and courteous staff made our stay an exceptional one. 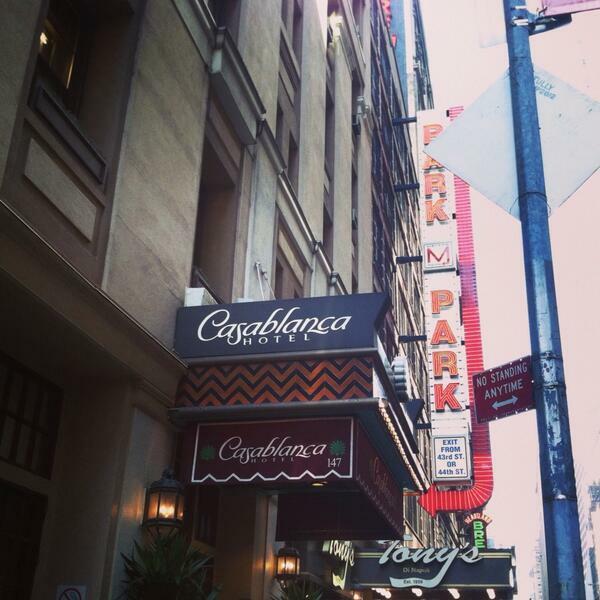 You can learn more about the Casablanca Hotel by visiting their website. *We were invited to stay at the hotel to facilitate a review, all opinions are my own. The room looked really big.. NYC has some amazing hotels and amenities that go with it.. we do not often stay in NYC when we go because we live so close, but if we need to i can refer to this.. 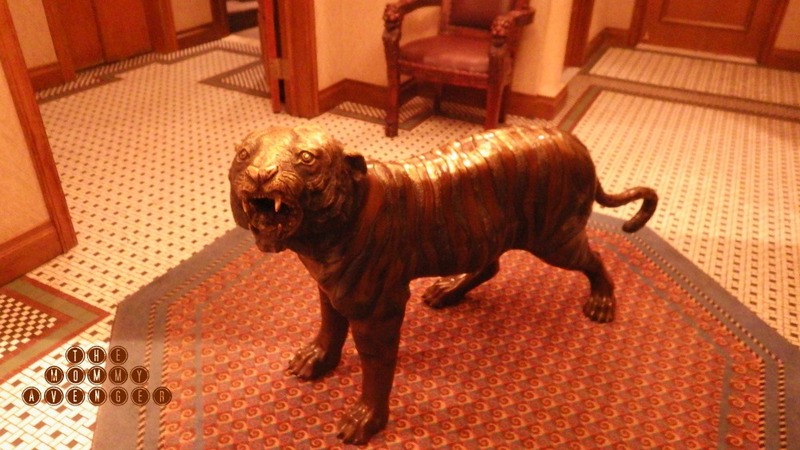 I love the lobby of that hotel! The minibar in the room also impressed me. I am so used to European hotel rooms (tiny!) that it is strange to have nice amenities and space. Boutique hotels always make a stay even more special. I’m going to remember this one for my next trip to the city! Being greeted by name is very impressive! The lobby is gorgeous! Great review! Sounds and looks like you had a great time…..
I’ve never been to New York but if I do get there someday I will have to keep this place in mind. Looks like you had a great experience. One day I will be visiting NY, especially since it’s only 3 hours away. That looks like a fantastic hotel. So many hotels in NYC are crummy holes but this is one jewel in the rough! This looks like an amazing hotel. I agree with Jonathan that there are a lot of crappy hotels in NY and you pay an arm & leg to stay there. Ugh! Sounds like you had a great experience at the Casablanca Hotel. I will remember that next time I go to NYC. That looks like a great place to stay. What great decor. Looks like a lovely place to stay. I love the decor! I love NYC. The Casablanca Hotel looks like a great hotel. I love how you can go from the business of Times Square and to a completely peaceful place that can make you feel like you are somewhere else. Thanks for the great review! never been to NY, but the pics look amazing !!!!!!!!! This looks like an awesome place to stay. I would love to visit New York one day. Thanks for sharing. I love boutique hotels the fact they re smaller and not part of big chains, is always plus. Love the pictures thanks for sharing! looks like a great hotel. NYC is so fun, and I will be sure to check this hotel out next time we travel there. I love NYC! I am totally Jealous! Looks much nicer than the place I stayed last time I was there!